Sometimes I go through my old photos and realize that I had a great story that I never wrote about. As I was flipping through my pictures of a 3 day hike I did in Peru’s Colca Canyon, I remembered a great one. I hiked up and down the world’s second deepest canyon 3 times in that 3 days span, so the night before my final climb, when I heard about a truck that drives up a treacherous road to get out of the canyon every other day I knew I had to take up the opportunity. Not only to save me from the hike, but for the sheer experience and thrill of going up this insane road. The trip was definitely nerve jerking, but more fun than anything. I will, at some point, share a story from this journey by for now I’ll just share this image. My travel companions were a group of locals heading into town, including the man photographed. I got a couple good shots of this guy, who was so short he couldn’t see over the top so had to peak through the gaps in the wood to catch glimpses of the nerve shattering views. In shooting photography the goal should be to catch more than just a simple view, person, or building. The goal should be to try and capture an emotion or a feeling that goes beyond the narrow focus of the photo. 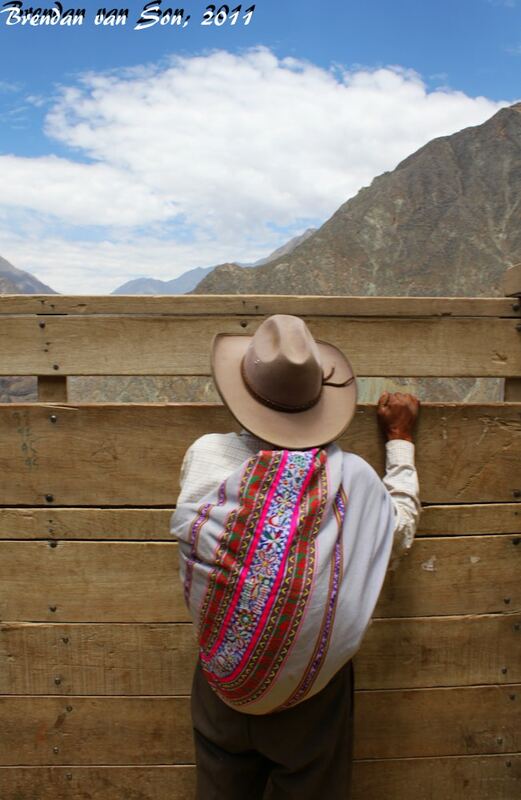 In this image I could sense the curiosity of the older Quechua gentleman, and when I saw him reach up onto his tiptoes I knew that I had to capture the moment. Sure you can snap away on your camera and hope you get a great image, but exploring the scene with your eyes before taking the picture allows you to feel for the situation and thus a more lively image.